The roles of the union learning rep, lifelong learning co-ordinator, and branch education co-ordinator, can be very rewarding. There are various sources of support available to our activists who work to promote learning in the branch. UNISON has been allocated money from the Union Learning Fund to support workplace learning activity. We can help towards the cost of catering, venue hire, or resources. Find out how your branch can make use of this. 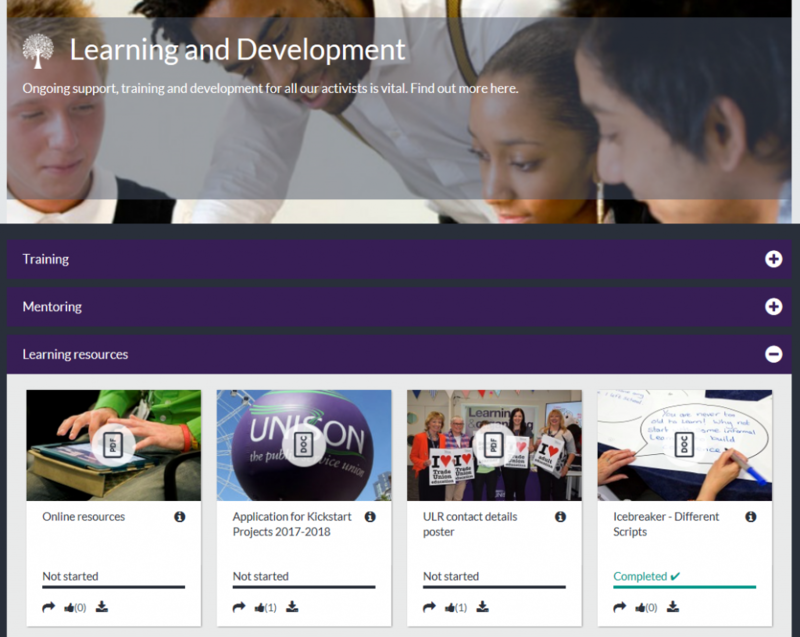 UNISON’s Organising Space has a library of resources that you can download and use to organise and promote learning activity in your branch. These include our popular toolkits (Moving On, Read Anytime, Anywhere, and Every Penny Counts), sample learning agreements, posters, templates, and much more. UNISON activists can log in to the Space using their my.UNISON account (you can set this up here if you haven’t done so already). UNISON’s member learning offer includes a range of courses and workshops that can be offered in the branch. Your regional learning and development organiser, or Learning and Organising Services’ member learning team, will be able to advise you how to make this happen. There is a wealth of learning and training online. Some is exclusive to UNISON members, and some is more generally available. We have compiled a selection of the most useful resources. The Organising Space also provides a safe space for UNISON activists in all sorts of different roles to connect with each other and share their experiences. There’s a dedicated chat in which you can discuss learning. You can sign in using your my.UNISON account. Your regional education team will be able to advise you about: courses running near you; how to organise branch-based courses and workshops; other education opportunities in your region. If you’re not sure who to contact, Learning and Organising Services will be able to point you in the right direction.